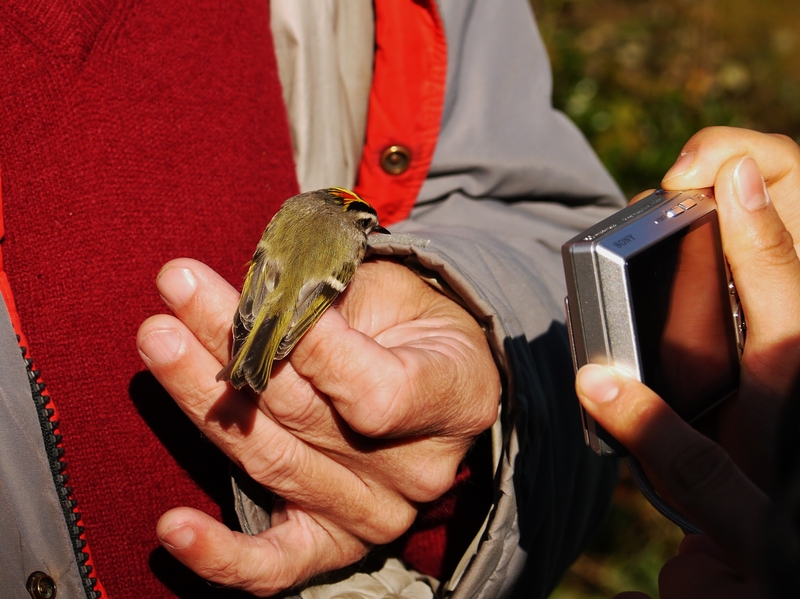 Bird banding is one of the most important methods scientists use to keep tabs on bird populations. The birds fly into delicate mist nets, are carefully disentangled by trained researchers and volunteers, then weighed, banded, and released. If and when the birds are re-captured, their bands tell us how old they are, when and where they were previously caught, and more. 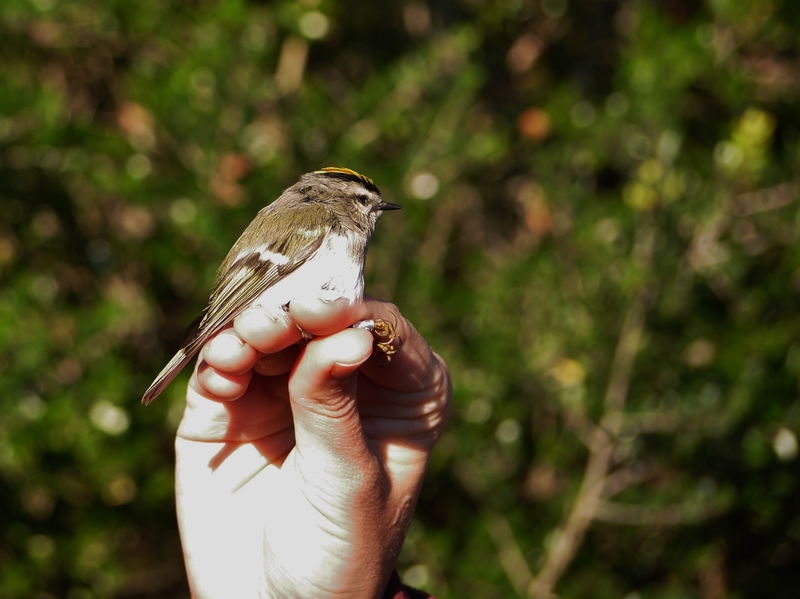 This Golden-crowned Kinglet was caught in a mist net in Raleigh, North Carolina.